Sometimes finding the perfect gift for someone is a very challenging affair, especially if the person has just about everything. This is when you need to think outside the box in order to find the ideal gift. But instead of racking your brain, you may want to consider getting your special someone a storage box. For one, a person who has everything generally will have a collection of items that need organized. A storage box is the perfect solution. Just any old storage box will not be impressive. You want to look for certain features that will make your gift something extraordinary and unique. 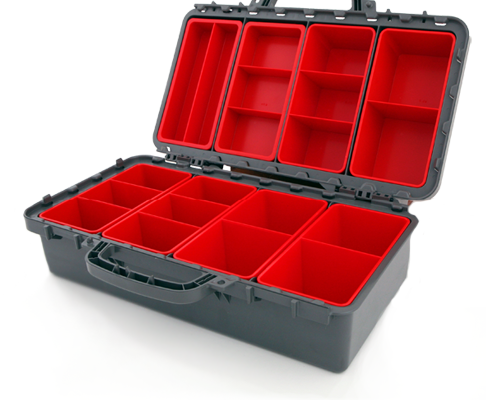 Some of the best storage boxes available today are Exactapak and Multi 10. Both of these storage boxes have numerous features and qualities that make the perfect gift. Storage boxes are the ideal gift because they help people organize their favorite things. For example, a fisherman might have numerous flies scattered about on a table in the garage. An Exactapak or Multi 10 storage box will help keep all the flies in one location and make it easy to find certain small items. Another great example is someone who loves to sew. Their hobby or craft requires a large variety of small items such as buttons, needles, a few thimbles, a sewing gauge, a rotary cutter and other necessary sewing aides. Again, an Exactapak or Multi 10 storage box is the perfect container to help keep things organized and simple to find. The Exactapak and Multi 10 storage box is Australian made and are manufactured by a well renowned company. Founded 1954 by Henry and John Lednar, Tip Top Plastics continue to be a well-established company that produces outstanding quality products. Today, Tip Top Plastics has an enormous quantity of ancillary equipment plus 16 injection moulding machines. And with a highly trained and experienced staff plus excellent customer care, you can be rest assured that your storage box purchase is of high quality and excellent design. Tooling Design and Contract Manufacturing: What is it all about?